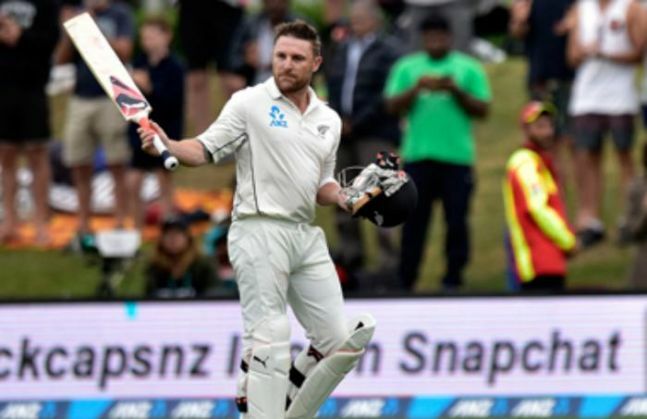 Brendon McCullum ended his test match career with an unfortunate loss to Australia at the Hagley Oval, in the trans-Tasman trophy. However, he set the world record for the fastest ever test hundred in the same match. Re-live McCullum\'s knock of 158 in just 73 balls playing for the Kolkata Knight Riders in the opening match of the inaugural season of the IPL. 158 off 73 balls in 2008. 100 off 54 balls in 2016. The first score was made in the T20 format, while the second was smashed in a test match. The common link? Brendon McCullum. McCullum had a very simple philosophy while batting. Regardless of what format he was playing, if the ball was there to be hit, he hit it - reminiscent of a certain Virender Sehwag. As McCullum played his last test match at the Hagley Oval against Australia, international cricket bid adieu to one of the modern cult heroes of the game. He may not have had a Tendulkar-esque admiration across the world, but McCullum went about doing his job with underrated efficiency. To Indian fans, he will be remembered as the player that lit up the IPL in its first ever match in 2008. And he isn't done yet, with plenty of McCullum magic to look forward to as he steps on to the pitch with new franchise Gujrat Lions in the coming season of the Indian Premier League.